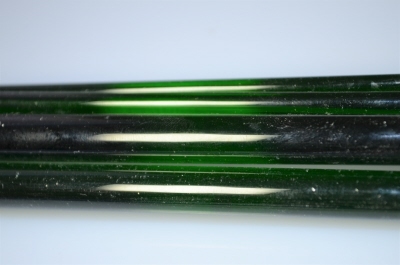 This is a 301grm pack of Reichenbach 94coe glass rods, Transparent Reseda Green x 7 rods approx, 4 - 9mm dia at 330mm long. From time to time we have Vetrofond 104coe glass packs that because of "Trade In" , "Studio Buy Outs" or "Bulk Purchase" we can offer these at massively reduced prices for odd size packs so we are listing them here. These rods are all new.